Serve your guests with these brownie bites made using Betty Crocker® brownie mix and topped with dulce de leche – a wonderful dessert. Heat oven to 350°F. Place mini paper baking cup in each of 36 mini muffin cups. In medium bowl, stir Brownie ingredients until well blended. Fill muffin cups about three-fourths full of batter. Bake 14 to 16 minutes or until toothpick inserted in edge of brownie bite comes out clean. Do not overbake. Cool 10 minutes before removing from pan. Cool completely, about 30 minutes. 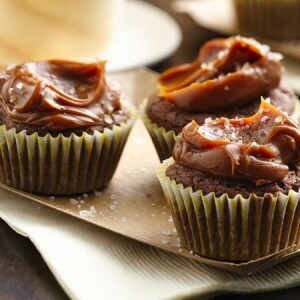 Top each brownie with dollop of dulce de leche; sprinkle with salt.